Dermalogica Intensive Moisture Balance Reviews: Is It Really Good? Dermalogica Intensive Moisture Balance Review: Ingredients, Side Effects, Detailed Review And More. What Is Dermalogica Intensive Moisture Balance? 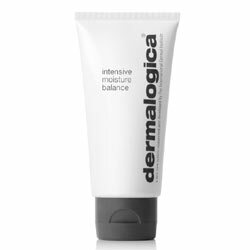 Dermalogica Intensive Moisture Balance is a balancing moisturizer that is packed with antioxidants and vitamins that help reverse skin damage and dryness to create a youthful, wrinkle-free appearance. Dermalogica, founded in 1986 by a UK skin therapist, seeks to pursue skin health over “beauty” in order to repair and enhance skin for a truly beautiful appearance. This product can be purchased for $66 on the manufacturer’s site and through retailers like Ulta. While Dermalogica allows returns, they don’t provide a true money-back guarantee. What Are The Ingredients in Dermalogica Intensive Moisture Balance? Below is the key ingredient list. The full ingredient list can be found on the manufacturer’s website. Aloe: Plant extract that heals and soothes the skin. Though it may also cause rashes on the skin & itchy skin. Grape Seed Extract: Anti-inflammatory that is rich in antioxidants to reduce puffiness and protect the skin from damage, but can often irritate the skin because of how strong citrus is in acid. As, the manufacturer guidelines says, The Dermalogica Intensive Moisture Balance is meant to be applied to damp skin, smoothing product into the face and neck in upward strokes. Use this moisturizer daily, in the morning and at night. Dermalogica Intensive Moisture Balance is designed to reverse age signs like fine lines and wrinkles by providing extreme moisture to fill in cracks in the skin and make the skin softer. It also contains protective antioxidants that heal skin and guard it from future damage. While the company is forthcoming with the ingredient list, and even though many of the ingredients in this product are well-known anti-aging/moisturizing ingredients, no study results or documentation proving this ingredient’s effectiveness is readily supplied. This, combined with the fact that no amounts are given for the ingredients, makes it very hard to confirm the effectiveness and strength of this product. However, in any amounts, ingredients such as hyaluronic acid do provide moisturizing effects on the skin. Dermalogica does not provide a money-back guarantee. You can only get a refund if the product is unopened, so you cannot try the product risk-free. There are many moisturizers available on the market, so please consider all options before making a purchase.